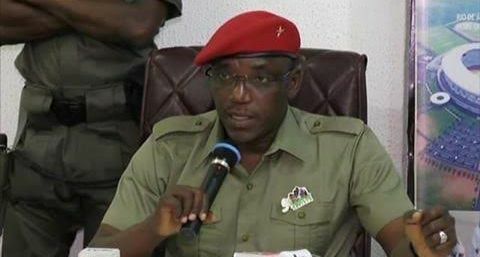 Minister of Sports and Youth Development, Solomon Dalung stated Nigeria basketball has elevated the country among the basketball playing nations, assuring that the Federal Government through the ministry will work with the Nigeria Basketball Federation (NBBF). Speaking during the NBBF’s Annual General Meeting (AGM) held in Abuja, Dalung noted that democratising federation sports remains his greatest achievement as Minister. He argued that basketball had improved Nigeria’s rating among the international community, lamenting that height disadvantage denied him the opportunity of playing basketball. “From 2017 till date, NBBF has made Nigeria proud, with great achievements in both national and international level. Apart from the upward movement in ranking of our national teams – the D’Tigers becoming No 1 in Africa and 32 in the world and the women’s team, D’Tigress being No 2 in Africa and 19 in the world – the overall success of both teams have improved Nigeria’s image in the world and earned us respect within the global basketball family. “Similarly, the board has been able to stabilise affairs of the federation, where rancour has become a thing of the past. I must commend the executive board of NBBF, for this work, as well as putting Nigeria on the biggest stage of basketball. I urge the board to continue in this direction to bring more laurels to Nigeria. “I must commend the board for the pace at which you responded to the Minister’s call for federations to deposit a copy of their constitution with the ministry. The democratisation process would not be complete without the constitution. The call for this AGM is not only a pointer to the readiness of this board and all stakeholders to grow the game of basketball in Nigeria, but more importantly, to provide an instrument of authority upon which the governance of the federation will rest. “A transparent governance structure, we believe, will boost the confidence of sponsors and attract the private sector to invest in sports. I assure you of the ministry’s readiness to work with you. “Let us remain optimistic that Nigerian sports will one day grow to its full potential as revenue generator alongside oil, as this government is committed to activating sports as business in Nigeria,” he noted. In his welcome address, NBBF President, Ahmadu Musa Kida, reiterated his determination to work with the members of the basketball family, revealing that his board deserves commendation for recording modest achievement. “I wish to state categorically that the present NBBF board is willing to work with basketball stakeholders in Nigeria devoid of any sentiment. I am using the opportunity to call all basketball stakeholders to join my board to help the game attain desired height. “One of my cardinal goals is to take basketball to the grassroots, to enable our youths and other neglected stakeholders have the opportunity to compete right in their backyards,” he said.